Mophilly Technology, Inc., is located in San Diego, California, one of the new hot beds of software technology development. Mark Phillips, creator of Pops and President of Mophilly, has family roots in Oklahoma. His grandmother, a Cherokee educated at the Cherokee Female Seminary, had her home and “allotment” land in Chelsea. Relatives live in Tulsa, Oolagah, and Stillwater and points in between. Why is your software called “Pops”? 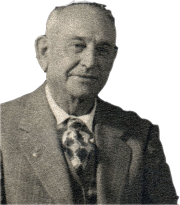 Back in 1902, our forefather W. G. Phillips moved to the Cherokee Nation, now called Oklahoma, exploring for oil and drilling wells. As the industry began to take shape, his focus turned from exploration to managing mineral, oil and gas assets as investments. Over time, Pops, as we called him, developed a sophisticated system for tracking and managing mineral, oil and gas royalty income producing property, including fee land and severed interest. 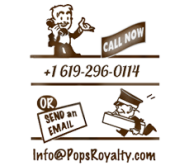 From his successful ventures comes the Pops Royalty Software product. Do I use Pops via the internet or on my own computer? Pops is a desktop application and does not rely on internet browsers such as Chrome, FireFox, Internet Explorer or Safari. Pops does use the internet for sharing information with your team or family as well as getting updates and upgrades. It is an “internet savvy” software application. How do I install Pops? To install, users download off the internet onto their own desktop. However once it is installed you do not need to be connected to the internet to run the program. 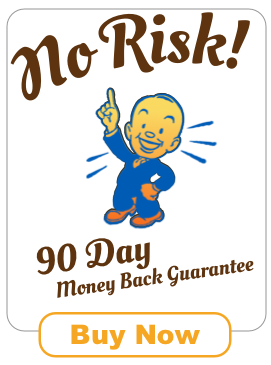 If you don’t have reliable internet, we can mail the installer program to you. Does the software come with documentation, such as a user guide? Yes. New users will receive a PDF of a user guide along with a username and password to a customer-only support site where they can view the user guide in sections and submit support tickets. Users can also call us at 619-296-0114 or email us at support@popsroyalty.com for additional questions or help getting using the application. What operating system does Pops run on? Pops is compatible with modern Windows/PC and Mac OS X/Apple computers. A Linux version is available upon request. It requires a minimum of 2GB RAM, at least 200 MB of free disk space. The disk space required increases as you store more documents. Pops is priced per seat. What does that mean? By “seat” we mean a single installation on one computer. If you wish to access Pops from an additional computer, that would count as one more seat. We offer an Enterprise edition that allows multiple users to share data and documents. Please call for details on the Enterprise edition. What if I need more than one seat? The Enterprise edition provides shared data and digital documents for two or more computers. The cost is priced per seat. There is a monthly fee for database hosting and document storage. Our hosting service offers better than 99.99% “up time” and employs sophisticated disaster recovery techniques to provide the highest level of data protection. I have my own database hosting? Can I use that instead? There are technical and legal considerations that require a service level agreement tailored to your needs, as well as certain burdens on you and your staff. Please call the office to explore this option. If I add a document to an entry does Pops import a copy into the database or just access it based on where it was when I selected it? The document (deed, check stub, etc) does get imported into the Pops software. When you add a document it is stored to another location in the Pops program data. If you happened to delete the file from its original location on your computer, it would still be visible to you within the Pops application. So there is added piece of mind that the file is stored within Pops even if something happens to it outside of the program. What if a new version of Pops comes out? Do I have to pay again to get the most current version? All purchasers receive one year of support, which includes the latest version of Pops and updates distributed free of charge. You can purchase a software assurance plan to receive all upgrades with new features as well as updates for fault corrections. Enterprise customers get every update and upgrade. How often do new releases come out? Like any good software, Pops is constantly evolving and developing new features along with the occasional bug fix. New releases are posted to the Pops download site every few weeks. Customers are notified via email that a new version is available for download. Can Pops take what I already have in Excel so I don’t have to retype all this information? Yes! We are able to import data that you have already entered into Excel. Pops offers free assessments of your current data to determine how long it will take to import your existing data into the Pops application for you. If it looks like it will be more than a few hours we will provide you with an estimate. Can the database be backed up? Yes. Users can backup the database and can also save the database as a file. This is done through the Preferences Panel. In addition, the application manages backup automatically. A off-site backup service is available; please contact the office for more information. What’s the average royalty income of the users? We don’t track that information and we wouldn’t release it if we did. Pops does not have a limit on the number of well entries, making it suitable for small family trusts and professional asset management companies alike. I travel a lot for business and want to be able to pull up my wells on my iPad or my phone. Can it do that? No, not at this time. We are designing a mobile product and would be delighted to talk with you about your specific needs. As an aside, the Windows Surface tablet can run Pops. Can you import data from other systems, for example from “Wolf Pack”? We can import from any source and export to any source. We need only the export format and sample data to verify the proper operation. In some cases, the other vendor may not allow access nor offer an export feature. If that is your situation then please call us. There may be ways to harvest your data without violating license and/or copyrights. I use another program called “rough neck”, how does Pops compare to that? Rough Neck provides services and tools for the operators and investors in field operations. Pops is focused on the asset owner and manager. As such, the two products are cooperative rather than competitive. Does Pops have any ties with National Association of Royalty Owners (NARO)? Mark Phillips, creator of Pops and President of Mophilly, is a royalty owner and a member of NARO. The Pops team also attends NARO conferences as an exhibitor from time to time. Members of NARO are eligible for special offers from Pops.